“The Illusion of an Islamic State represents a landmark achievement in the field of counter-radicalization, which demonstrates how an alliance of moderate Muslim leaders can effectively isolate, and discredit, the ideology of religious hatred, supremacy and violence that underlies and animates terrorism. As such, it warrants serious study—as well as the wide dissemination, and application, of its findings—by public policy makers, journalists and people of good will of every faith and nation, who care about the threat to humanity posed by Islamist ideology, terrorism and a rising tide of Islamophobia in the West. “If the Muslim world, including the contemporary Middle East, is to navigate a path between the Scylla and Charybdis of temporal and religious authoritarianism—and, at long last, provide its inhabitants with the kinds of civil liberty, and rule of law, that people in the West have come to take for granted—it can only do so by applying the principles articulated in this visionary work. For the renowned Muslim theologians who authored The Illusion of an Islamic State have issued a stirring theological defense of freedom, grounded in a profoundly spiritual understanding of Islam that is capable of deepening and broadening, rather than destroying, Muslims’ faith. As such, it represents a unique contribution from Indonesia to the world, offered in the spirit of love, compassion and respect. “[T]hose whose hearts are filled with sincerity and goodwill and who strongly embrace efforts to achieve peace, freedom and tolerance, are, in a cultural sense, members of LibForAll Foundation’s global family. To accomplish its mission, LibForAll employs a spiritual approach, to raise individual and social consciousness and thereby transform individuals and society for the better. This approach is predicated upon the fact that the innate struggle between the spiritual (higher) and animalistic (base) natures of humanity exerts a major impact upon the external world…. “Base instincts are a powerful force which always harbor a destructive potential, rendering individuals discontented and incapable of experiencing peace. Islamic scholars often compare this lust (for power, wealth, pleasure, etc.) to a wild beast. Whoever succeeds in taming his carnal nature achieves inner peace, and can employ his vital energies to achieve far-reaching, lofty and noble goals. On the other hand, whoever is still dominated by egotism and lust is in a state of constant, restless anxiety/desire, and is a danger to himself and others…. A year-long study conducted by the Centre for Asymmetric Threat Studies at the Swedish National Defense College on behalf of SIDA (the Swedish Foreign Aid Agency) reports that “The LibForAll Foundation (LibForAll) is a particularly interesting non-governmental actor that is able to create networks and promote effective messages and initiatives in various constellations…. LibForAll has been exceptional in a regional context for issues involving innovative forms and communicating the message of anti-extremism. One guiding star in these efforts has been selecting methods with maximum impact and that reach the largest possible audience…. 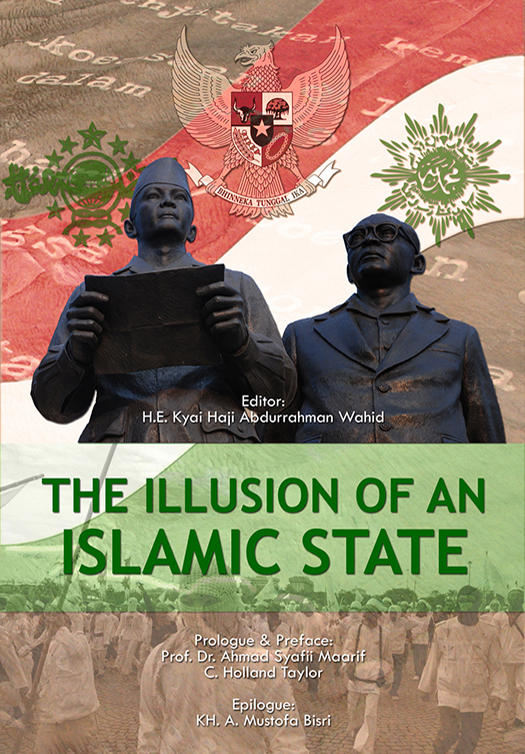 “LibForAll’s publication of The Illusion of an Islamic State: The Expansion of Transnational Islamist Movements to Indonesia had a considerable impact on domestic policy. It primarily contributed to neutralizing one candidate’s bid for vice president in the 2009 national election campaign, who had ties to the Muslim Brotherhood. It also helped drive a wedge between President Susilo Yudhoyono, who was running for re-election, and the PKS party’s candidate, which had been his coalition partner for the previous five years. PKS has played a double role – it has supported the government the past five years on the one hand and continued to promote radicalization on the other. Yudhoyono nominated a strong nationalist candidate as vice president instead. 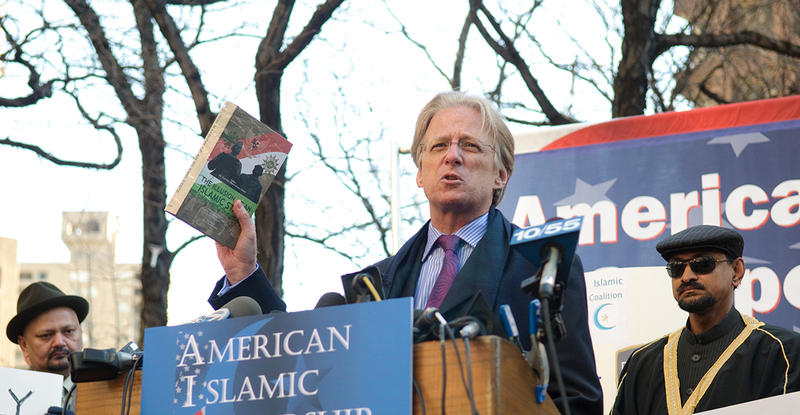 “LibforAll’s demonstration of strength involves creating a cross-sector network that is based on a five-level integration of the following: religious leaders (ulama) who have garnered widespread public support and who can address radical backlash; religious scholars and teachers who can garner the requisite intellectual and theological support for a pluralistic and tolerant interpretation of Islam; pop idols who have massive support from young people; government leaders who are able to address social factors as an underlying factor of extremism; as well as business leadership that can offer requisite financial support. “LibForAll constitutes… an interesting phenomenon in terms of bridging the gap against extremism both within and between regions. The organization has also, in an experimental manner, used various means and forums to reach out to as large a segment of society as possible by using credible messengers and new technological platforms. LibForAll’s coordinated media strategy has had a decisive political effect in terms of curbing political parties with an extremist agenda. Exposing the true nature of the parties has enabled marginalization of corrosive, subversive forces.” Read excerpts from the report (PDF). This article cites the CATS study and, without naming LibForAll, refers to its decisive role in helping to counter radicalization: “Perhaps the most successful country to combat jihadism has been the world’s most populous Muslim nation, Indonesia. In 2002 that country seemed destined for a long and painful struggle with the forces of radical Islam. The nation was rocked by terror attacks, and a local Qaeda affiliate, Jemaah Islamiah, appeared to be gaining strength. 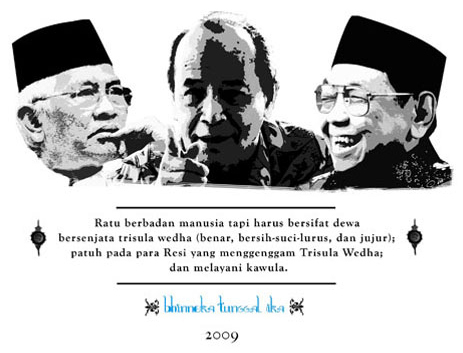 But eight years later, JI has been marginalized and main-stream political parties have gained ground, all while a young democracy has flowered after the collapse of the Suharto dictatorship. “Magnus Ranstorp of Stockholm’s Center for Asymmetric Threat Studies recently published a careful study examining Indonesia’s success in beating back extremism. The main lesson, he writes, is to involve not just government but civil society as a whole, including media and cultural figures who can act as counterforces to terrorism.” Read the full article (PDF). “Like the change of seasons, heavy rain always begins with an initial shower. The enemies of Islam never cease in their efforts to destroy the Muslim community. They use not only physical methods, but ideological warfare as well. They regard this methodology as more inexpensive and effective. Just look at what happened before the bombing of the J.W. Marriott and Ritz Carlton hotels. The previous month we were ‘treated’ to the book Illusion of an Islamic State, which attacks political Islam. 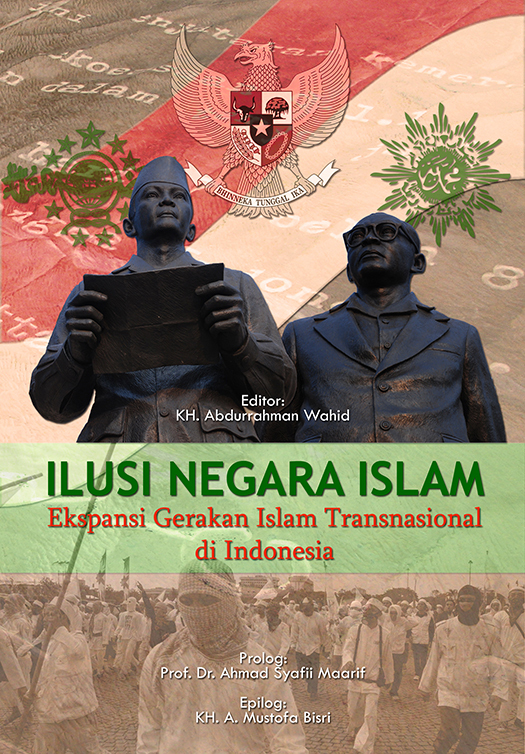 “The afore-mentioned book was published jointly by the Bhinneka Tunngal Ika [Oneness Amid Diversity: Indonesia’s national slogan] Movement, the Wahid Institute and the Maarif Institute. The book represents the result of more than two years’ research by LibForAll Foundation…. History tells the world that radicalism is constantly nurtured, to serve colonial interests that always alternate players. Thus, loud statements about [an alleged] Wahhabi [threat] are truly more powerful and dangerous than bombs.” Read the full article (PDF). Indonesian language. “Since the explosion of the bombs in Kuningan [Jakarta] in July of 2009, the terms Wahhabism and transnationalism have suddenly been on everyone’s lips. Many national television stations and other mass media outlets have been quoting a number of leading national figures about the relationship between terrorist bombs and Wahhabism. “Whether this is intentional or not, one thing is certain: the assistance of media (especially TV) has caused the term Wahhabi to become a new stigma that is terrorizing many [extremist] Muslim organizations. It may be that those behind the spread of this stigma hope to divide Indonesian Muslims and turn them against each other…. “If Muslims were all driven by a passion to learn, and to listen to others, their understanding of Islam would become progressively more wise and complete. As a consequence, they would not seek to reduce Islam to a mere ideology or rule of state. They would realize that Islam is too great to be boxed into a narrow ideology, or confined by the limits of state laws. For that reason, the vital insight contained in this book is the struggle (jihad) to constantly inspire every person to learn without ceasing; to oppose ignorance; to inspire all people to open their hearts and minds to humanity; and the struggle (jihad) to free every man, woman and child on earth from ideological and dogmatic strictures which have long prevented them from understanding the glorious teachings of religion, and instead confined their comprehension to those elements of the message that they can squeeze into a narrow box of their own or others’ construction. To repeat: we may overcome our ignorance by seeing, listening and paying close attention; that is, by constantly learning. What halts this process dead in its tracks, and poses a threat to oneself and others, is when people feel that their knowledge is already perfect, and consider themselves to be in possession of the absolute Truth, and thus no longer in need of learning, or seeking the truth. Perhaps all would agree that ignorance is highly dangerous. Yet not everyone is aware of the hidden dangers of ignorance, which dwell within. WaLlâhu A‘lam. God alone knows the truth of all things.